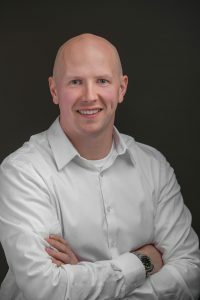 Matt joined NAI Business Properties in September 2009 and became an owner in June of 2012. Prior to joining NAI, Matt brokered commercial transactions that included investment, office and industrial properties within Yellowstone County from 2004 on. Matt has more than 14 years of experience in industrial and office investment sales, as well as tenant and landlord representation. Since joining NAI Business Properties, Matt has taken the lead in developing a strong presence in the office, industrial and investment market. Matt has also conducted hundreds of property evaluations and has aided in the sale of businesses and large multi-family complexes throughout Billings. When Matt isn’t in the office you will find him with his wife Stephanie and young children Charlotte and McCoy. Matt’s professional real estate career began in 2004. He has been with NAI since 2009 and an owner since 2012. Fourteen years of experience with hundreds of transactions and property evaluations make him a leader in the industry. He holds the SIOR designation – one of only two people in the state of Montana. When Matt isn’t in the office you will find him with his wife Stephanie and young children Charlotte and McCoy.